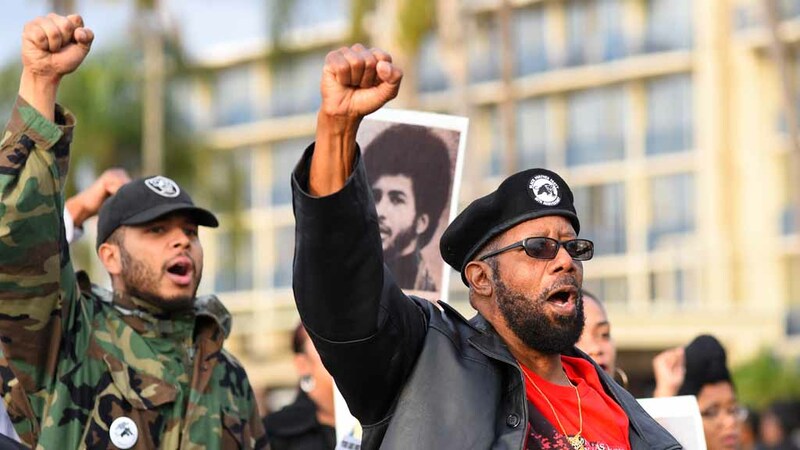 Even with Black Panthers taking part for the first time, it was far more a parade than a protest. 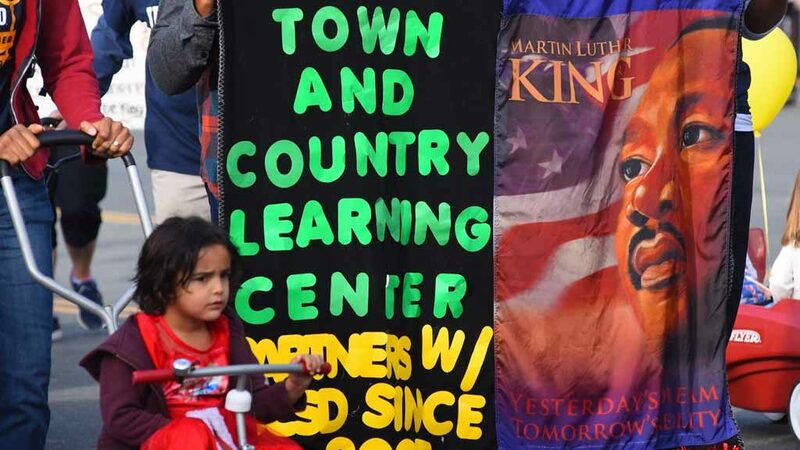 Sunday’s 37th annual Martin Luther King Jr. 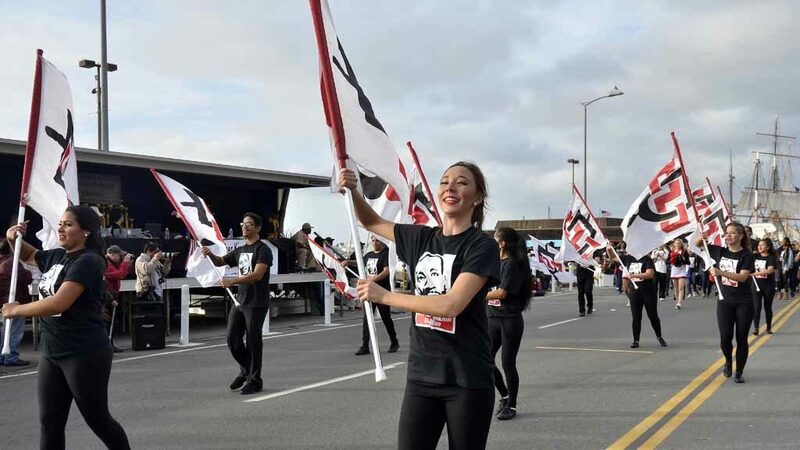 Parade had only a handful of units commenting on the Donald Trump presidency, five days away. 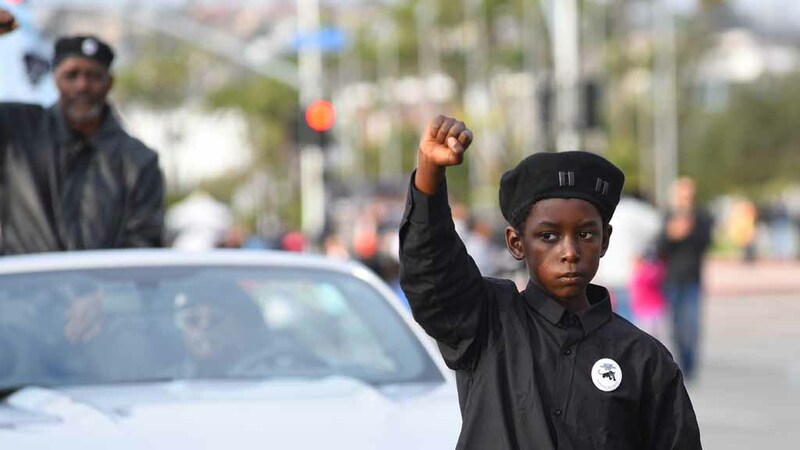 Only 8 percent of African-American voters supported the Republican on Election Day. 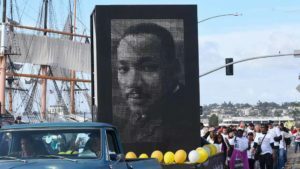 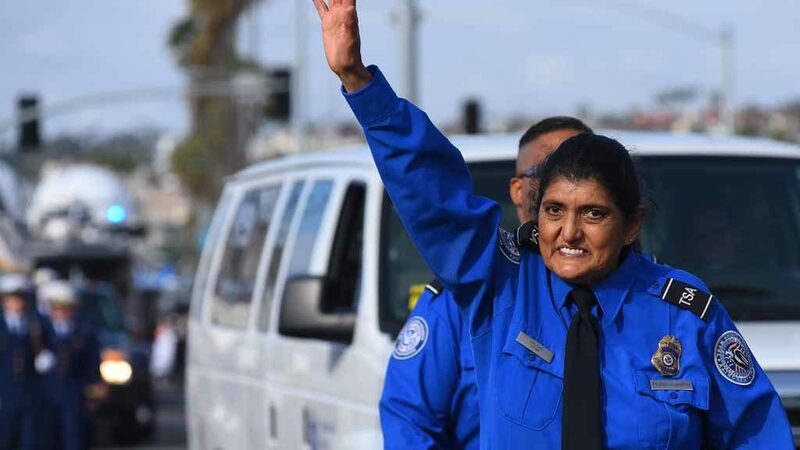 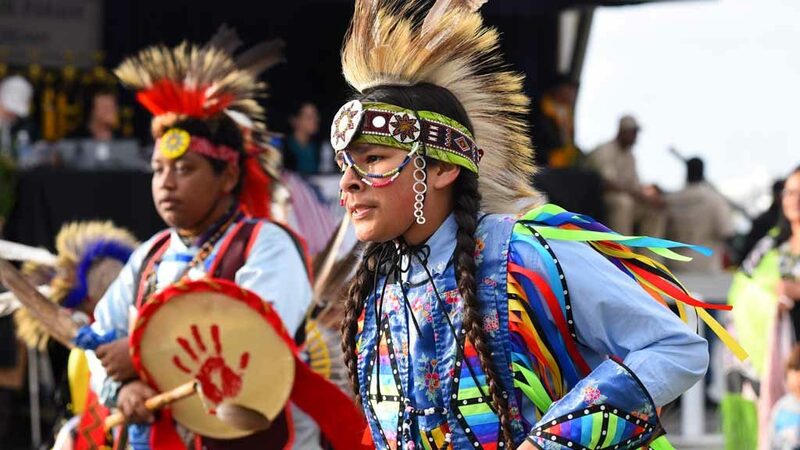 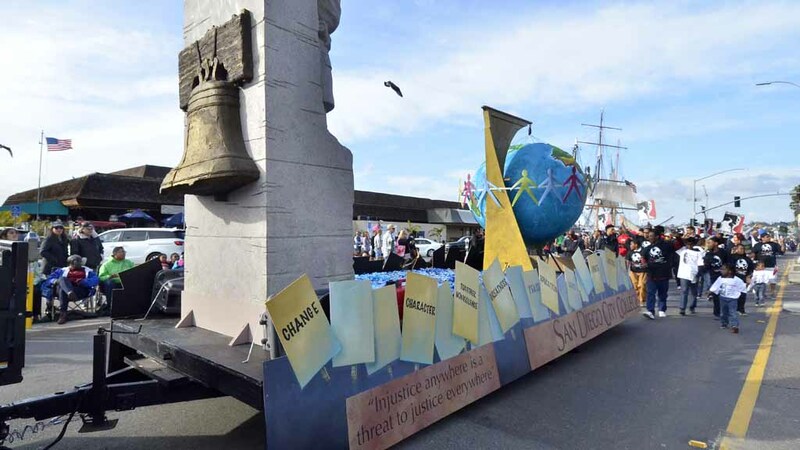 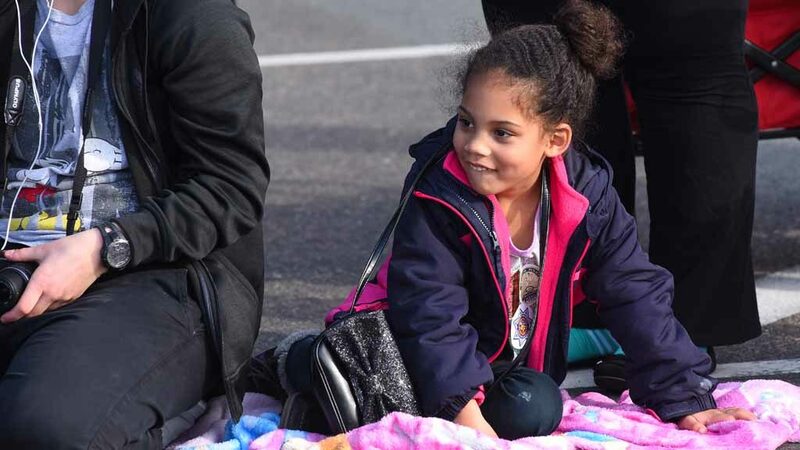 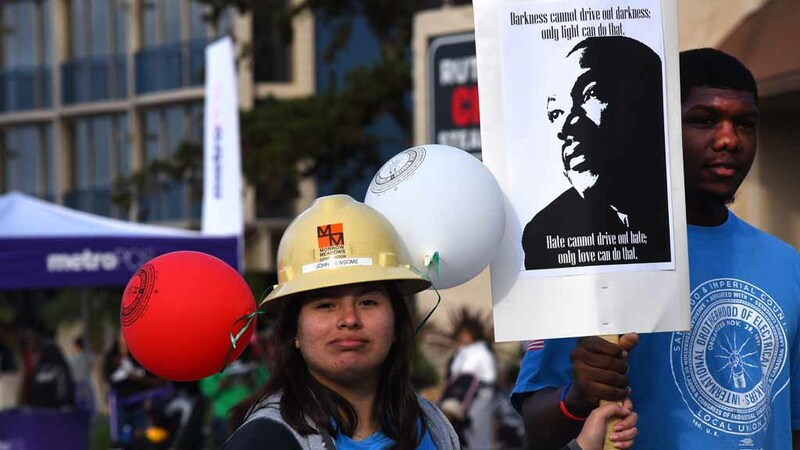 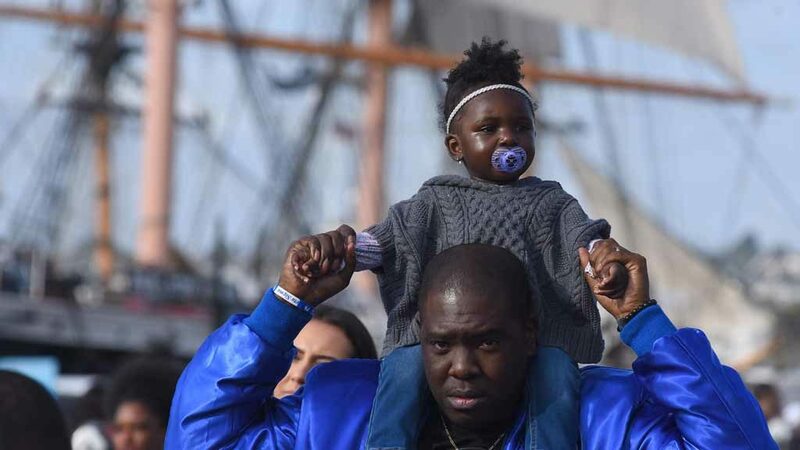 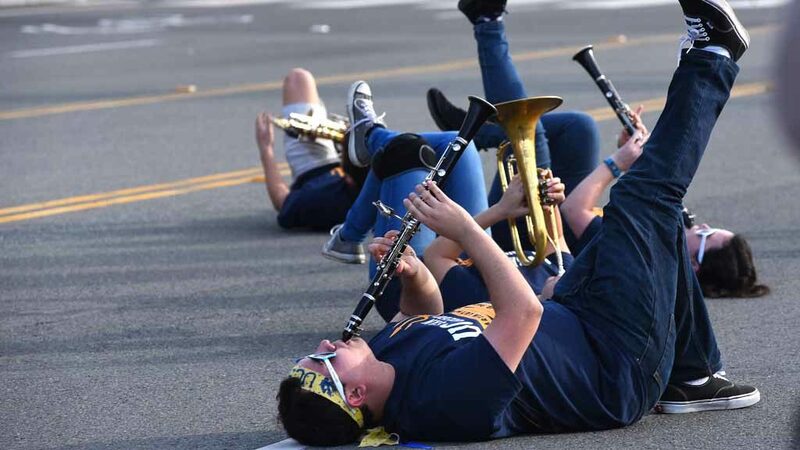 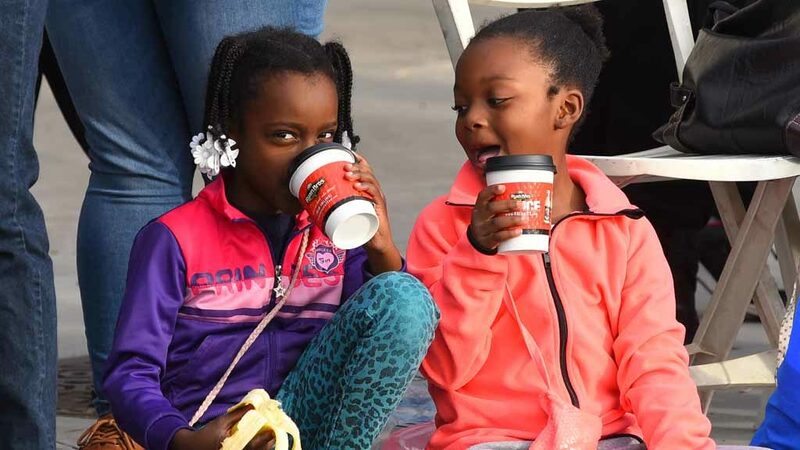 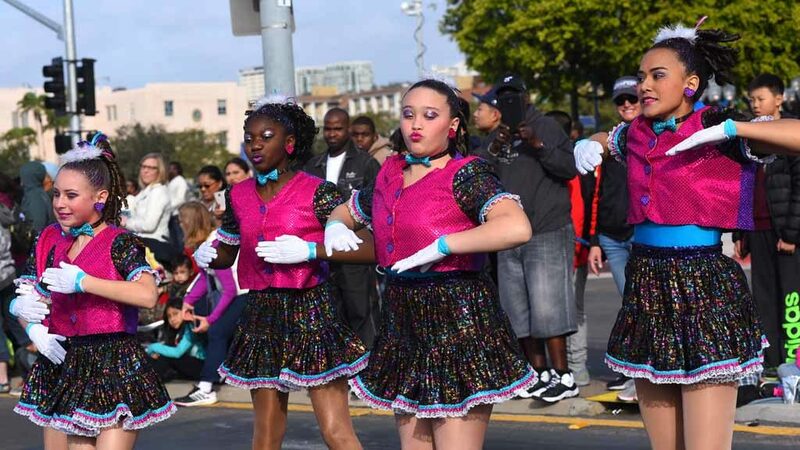 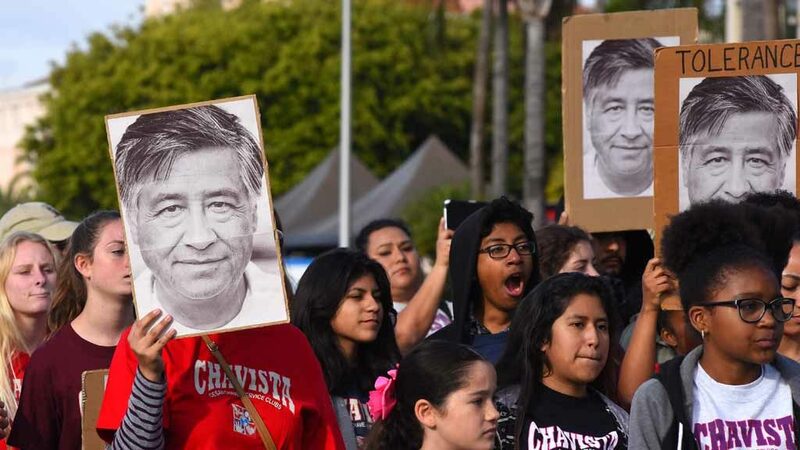 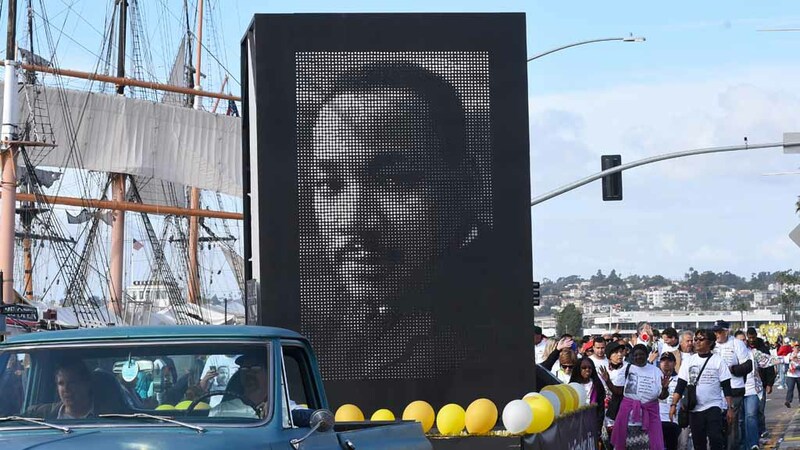 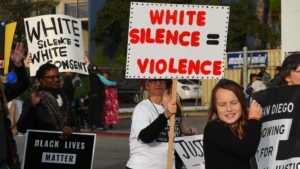 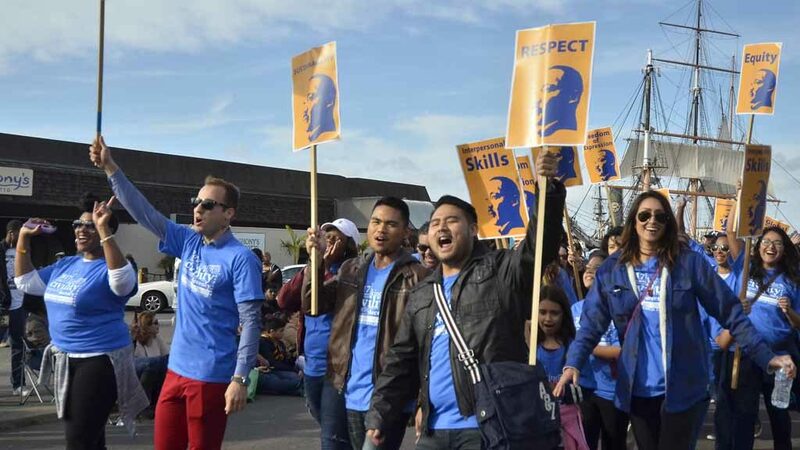 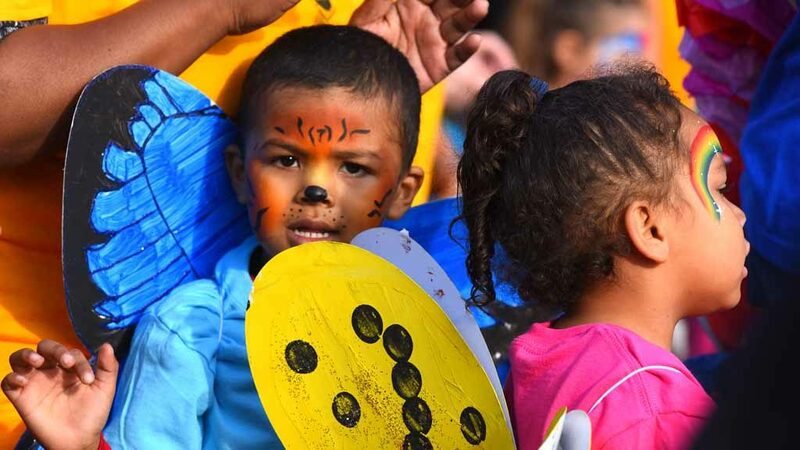 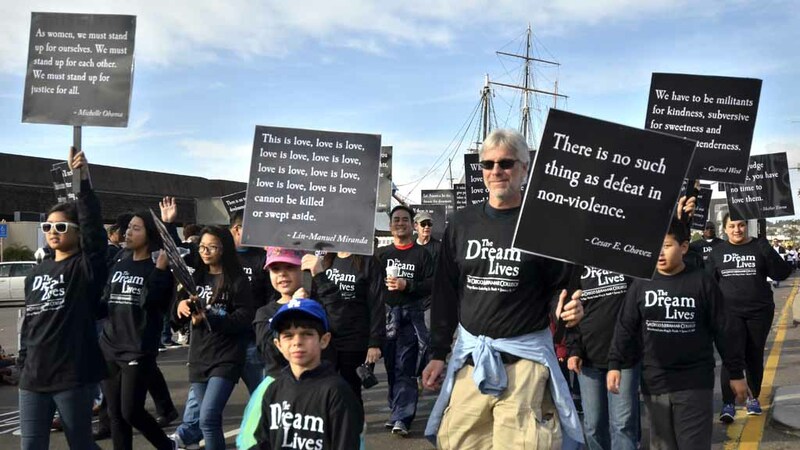 A day before the slain civil right’s leader’s national holiday, thousands watched school and civic groups with floats and bands head south down Harbor Drive toward Seaport Village. 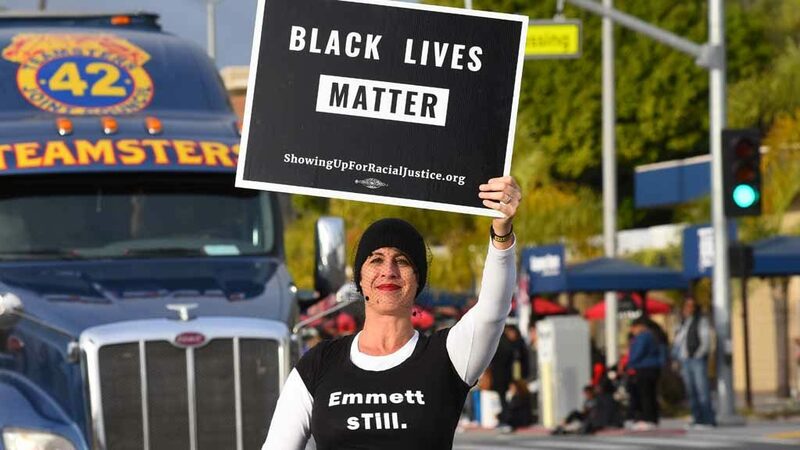 Wearing a veil, one member bore a shirt saying: “Emmett sTill,” a reference to the black teenager Emmett Till whose Mississippi lynching in 1955 was a flashpoint in the nation’s civil rights awakening. 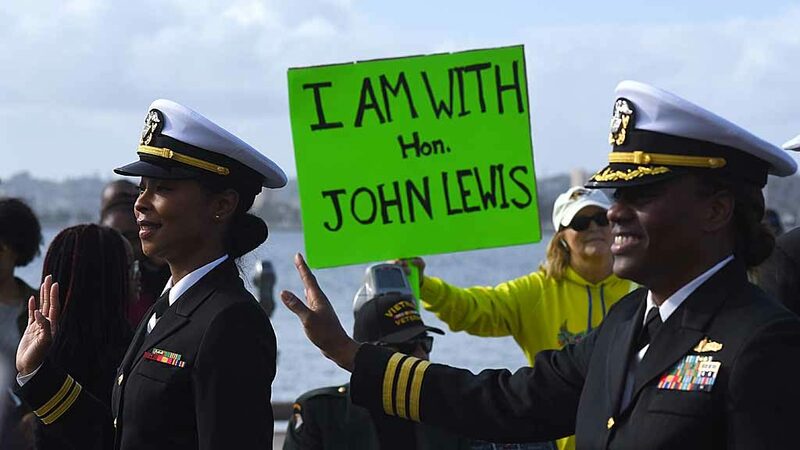 A white parade-goer held a green sign saying: “I AM WITH HON. JOHN LEWIS,” whose recent comment that he considers Trump an “illegitimate president” sparked controversy. 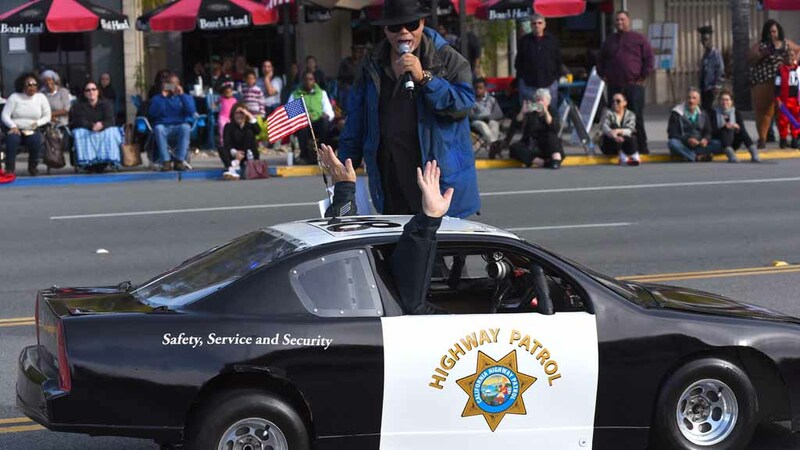 Politicians waving to crowds included Assembly members Todd Gloria and Shirley Weber, state Sen. Toni Atkins and Rep. Susan Davis. 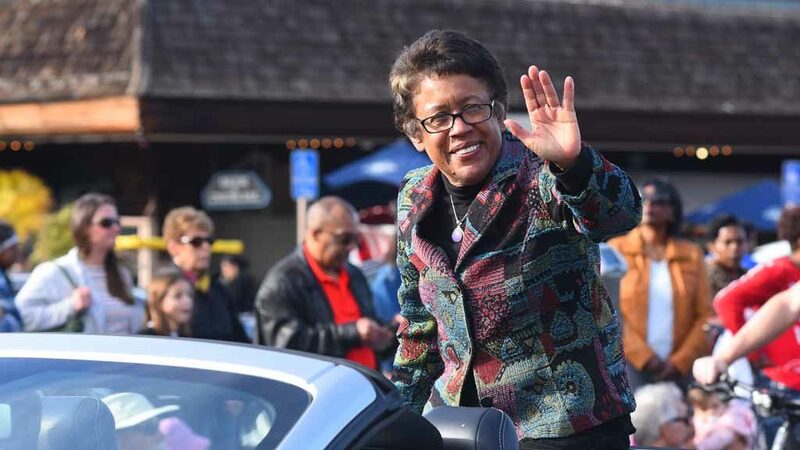 Myrtle Cole was the only San Diego City Council member in the parade. 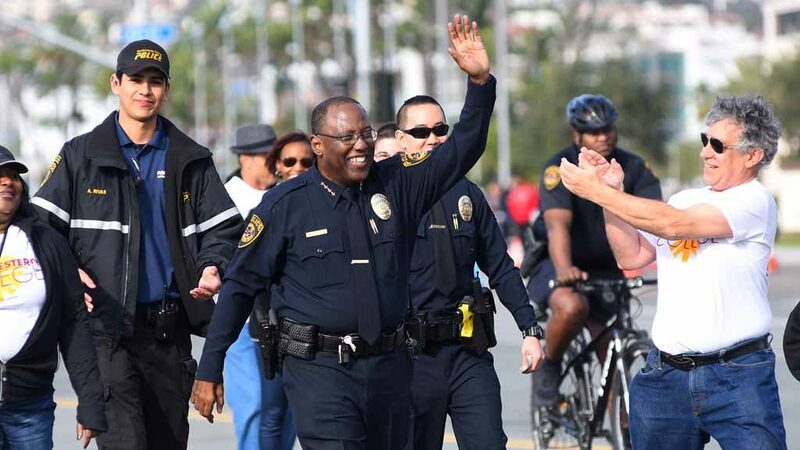 Mayor Kevin Faulconer was absent, but a smiling Police Chief Shelley Zimmerman and county Sheriff Bill Gore walked the route with other brass. 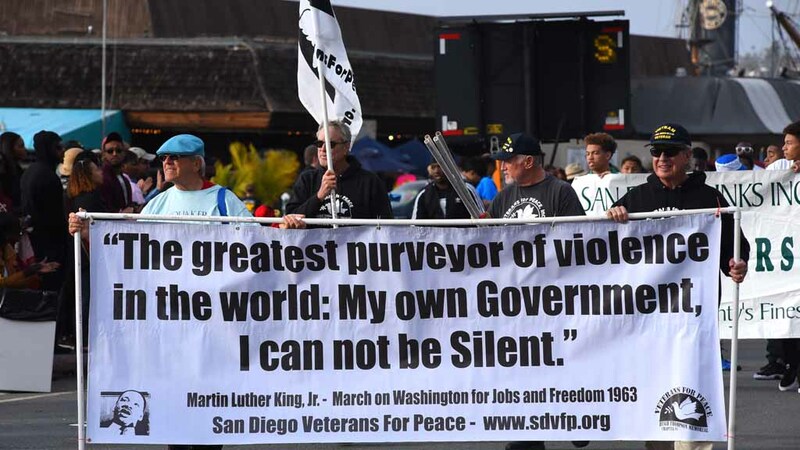 Grand marshal was John E. Warren, co-publisher of San Diego’s Voice & Viewpoint newspaper, in its 56th year. 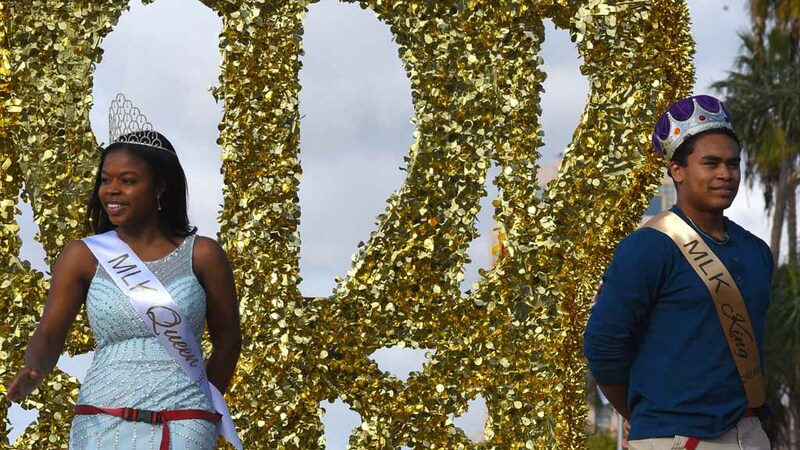 Isaiah Love of Santa Fe Christian School and Bryanna Shaw of Francis Parker High School were chosen king and queen of the event. 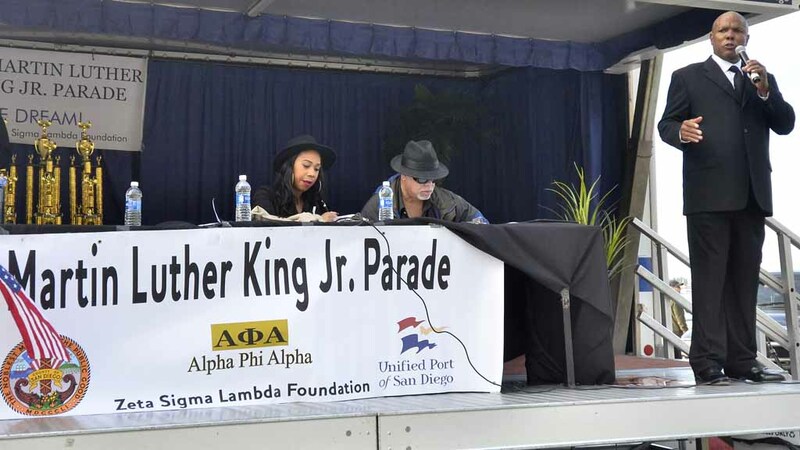 Their court had Rayonna Davis of Gompers Preparatory Academy, Olivia Lewis of Academy of Our Lady of Peace, Caszmani Walker of Crawford High and Bryan Shaw of Parker. 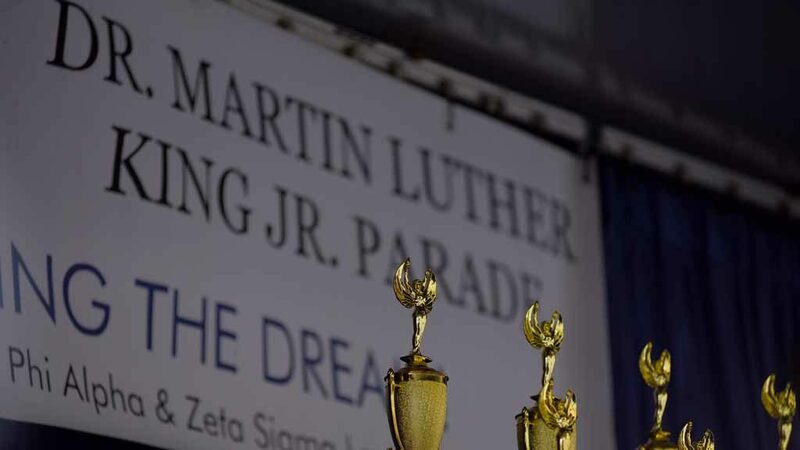 The parade, again coordinated by the Zeta Sigma Lambda Chapter of Alpha Phi Alpha Fraternity Inc., began after Lewis Sheffield recited from memory King’s 1,670-word “I have a dream speech” of 1963. 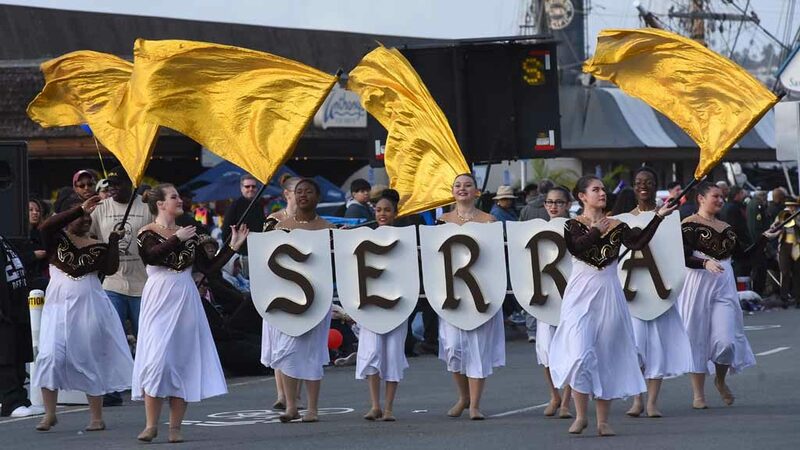 There were 98 entrance in the parade. 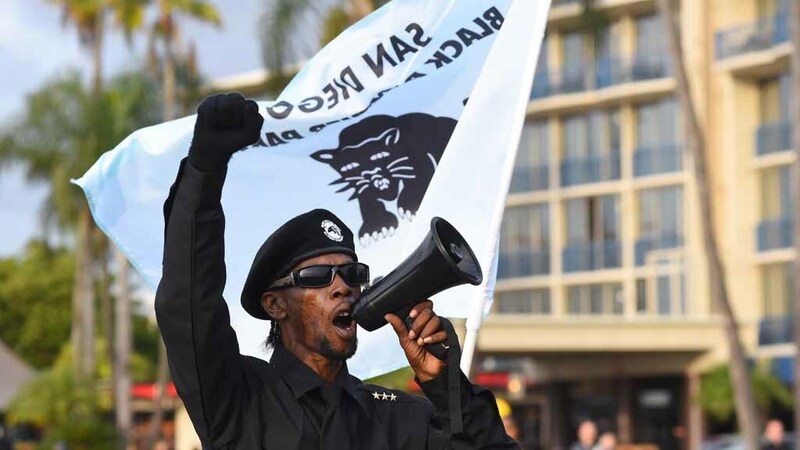 About a dozen local Black Panther Party members marched, having been asked on Facebook: “Please make sure that on the Day of the Event that you are wearing all Black.” This year marks its 50th in San Diego. 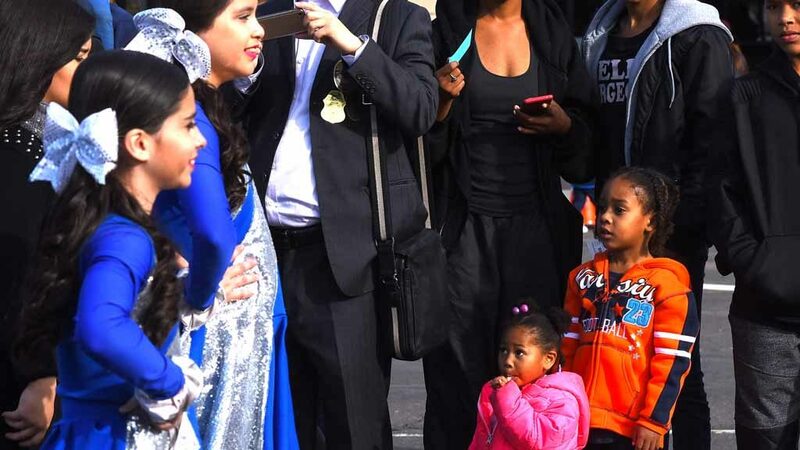 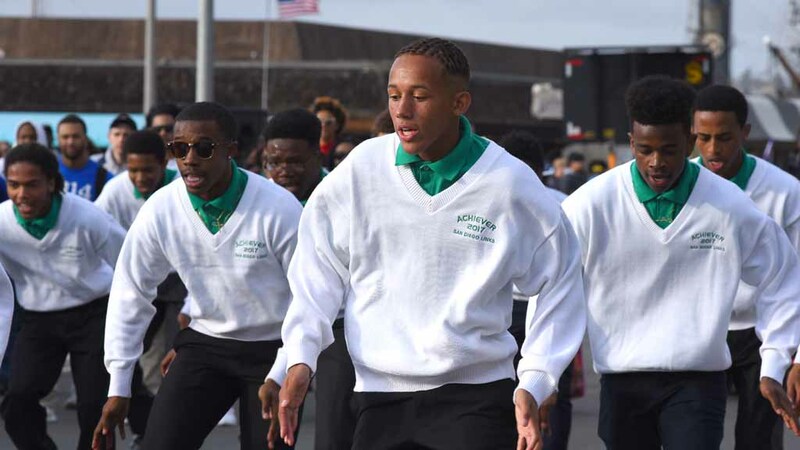 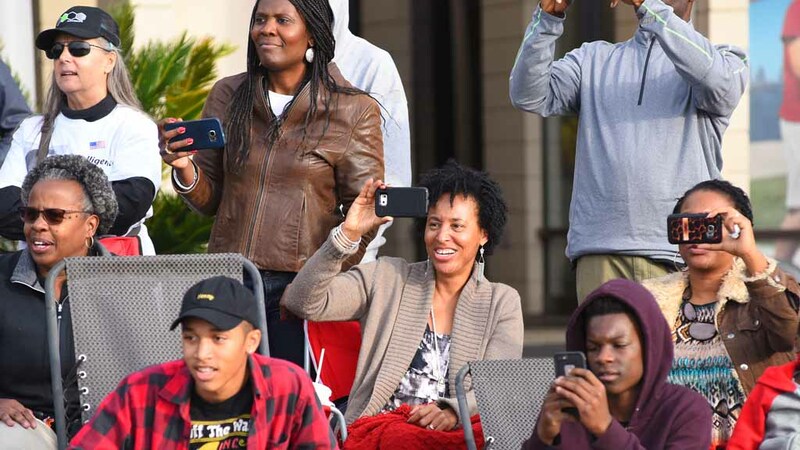 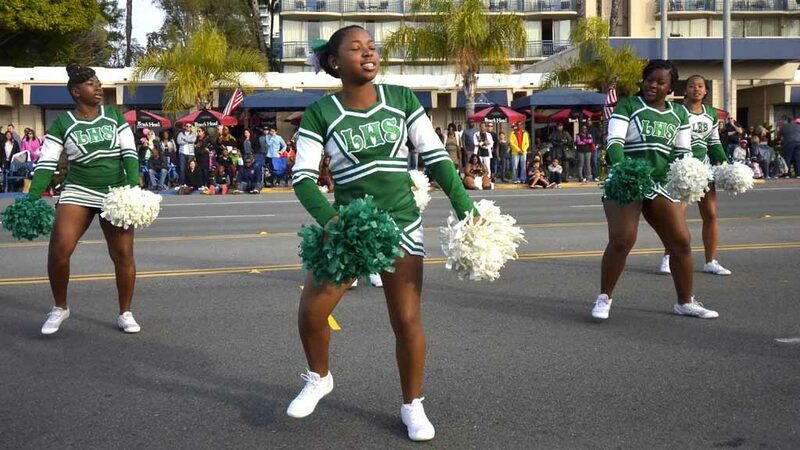 Announcer Tayari Howard, president and CEO of Global Educational Media Network, said it was the first local MLK Parade appearance by the Black Panthers. 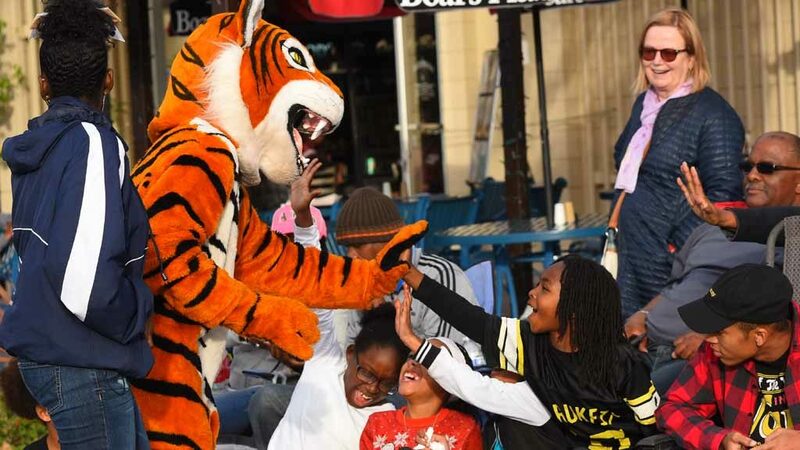 In the parade, Panthers including children reprised their 1960s-era raised fist salute.